His documentary film Timor Tour of Duty made its international debut in New York in October 2009. It picked up a Platinum Reel Award from the 2009 Nevada Film Festival (US). 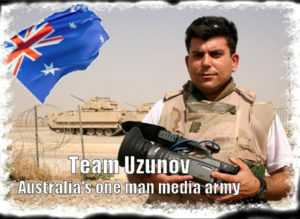 He blogs at Team Uzunov.